Well before the Cessna Grand Caravan cleared the mountains near Fairbanks, Nancy, a vivacious fortyish woman next to me, started talking. We were traveling to Arctic Village, 235 miles northeast; from there I would fly over the Brooks Range in a smaller plane, landing along the Aichilik River on Alaska’s North Slope, near the Arctic Ocean. Nancy told me that she and her husband, Jim (both names changed), who was dozing in the single seat on the other side of the aircraft, were going to a different river on the North Slope for their trip. As she talked, I realized they were as familiar with this country as I was with the Boundary Waters, except “their country” was 20 times bigger and vastly more remote; the last road we would see for two weeks was behind us. I noted that her husband looked not just older, but his hair was patchy and almost ravaged. I didn’t say anything, and Nancy soon elicited from me that I had once practiced neurology. Jim was an exceedingly smart geologist who several years earlier had been diagnosed with a left hemispheric astrocytoma and forced to retire. These tumors are malignant, and at a young age grow slowly. But they eventually get nastier and will kill in 5-10 years. Jim was treated at Duke, which is about as far from Fairbanks as London is from New York. She was remarkably upbeat for somebody who had gone through a hell I hope I never will, and they were doing the trip while they still could. I was sitting next to a saint. We talked about Alaska, the time passed quickly, and we soon landed on the dirt strip at Arctic Village. The weather over the Brooks Range was poor, and many of us to be shuttled in. Jim and Nancy would go in the mid-afternoon; I was in the last group and wouldn’t depart for 8 hours. 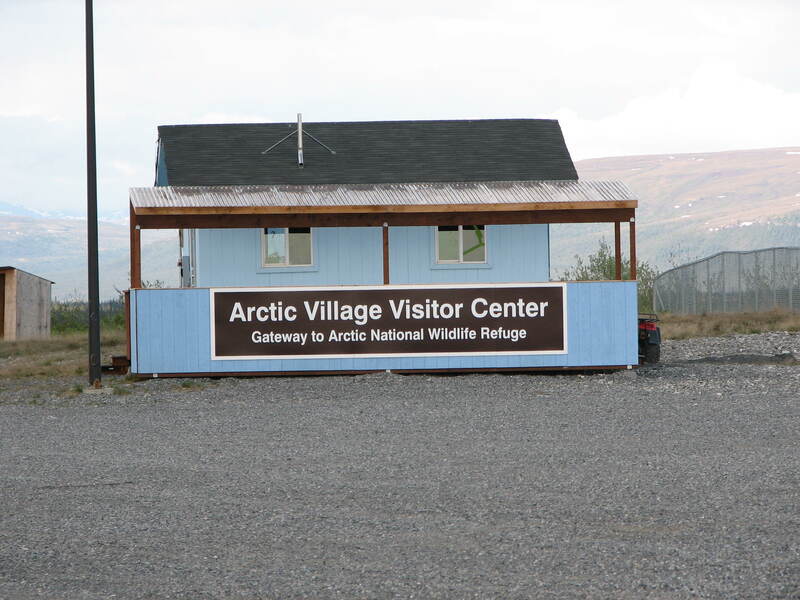 We put all our gear by a small building, new from the previous year, unstaffed and christened “Arctic Village Visitor Center.” One hour took care of seeing the village; when I returned Jim and Nancy were inside, looking at a large map of the Refuge and nearby Yukon. Jim was pointing out, with minimal but noticeable dysphasia, some of the areas where he had traveled. I looked with awe and envy at his travels. I was never going to see that incredible country and he had. On the other hand, I’ve seen sixty, and he would likely not see fifty-five. This was one of those difficult moments where one has to quickly decide whether to lie, tell the truth, change the subject, or just run away. I knew what Jim had, but he didn’t know I knew. I didn’t want to act curious; I just wanted to be somewhere else. God, I thought. What do I do? Just then a couple of loons called in the distance, so I took option number 3: I quickly changed the subject to loons. I felt like a coward. Whether Jim noticed, I’ll never know, but during the rest of the walk, we didn’t discuss his medical condition. We birded, spending about a half hour sitting beside one of the many lakes that surround Arctic Village. Jim pointed out the plants to me, and I just worked like mad keeping the subject off astrocytomas. I’ll never know what he thought of me, but I sure learned much about the local flora. We eventually returned to the airport, and later, Jim and Nancy left for their trip. At 7 p.m., the guide, Aaron; I; and pilot Kirk Sweetsir, a Rhodes Scholar (in another life, as he puts it), finally departed. When we saw the wall of black ahead over the Continental Divide, Kirk turned around and set us down in ANWR, along the Sheenjek River, half way to our destination. We had the stove, dinners, breakfasts, and a dry place to camp. The other group that did get to the North Slope that day had none of those four things. 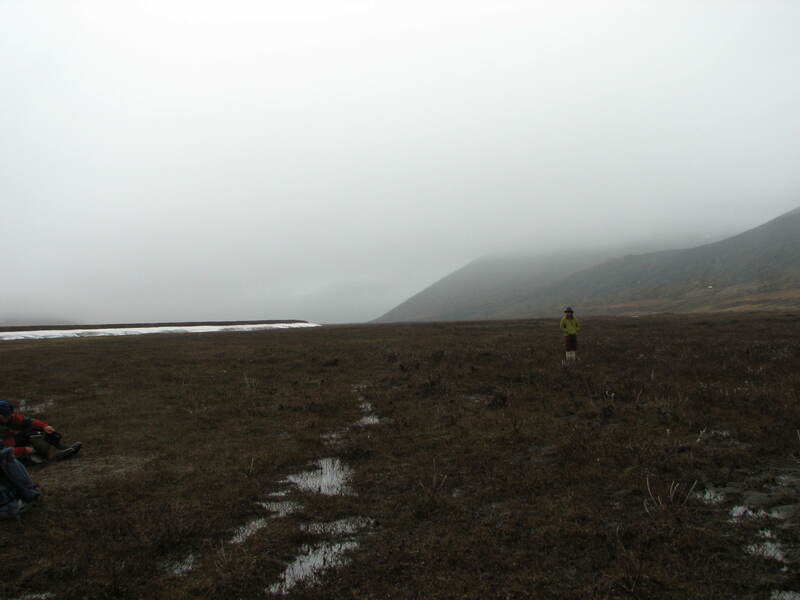 But all of us had functioning brains and bodies that would get us through eleven tough days in ANWR and hopefully for many, many years after. But there are no guarantees. Jim is one of the reasons why I go when I can. Bad stuff – s—, if you will – happens, and it can happen to anybody, good or bad, young or old. I’ve had some nasty medical problems, but compared to Jim, I’ve had nothing. He’s still going while he can, able to carry gear, navigate and love his wife, who copes with a grace I wish to emulate. Both of them have and will continue to see country that few will ever see. They are special people, truly living fully while they can, as we all should. 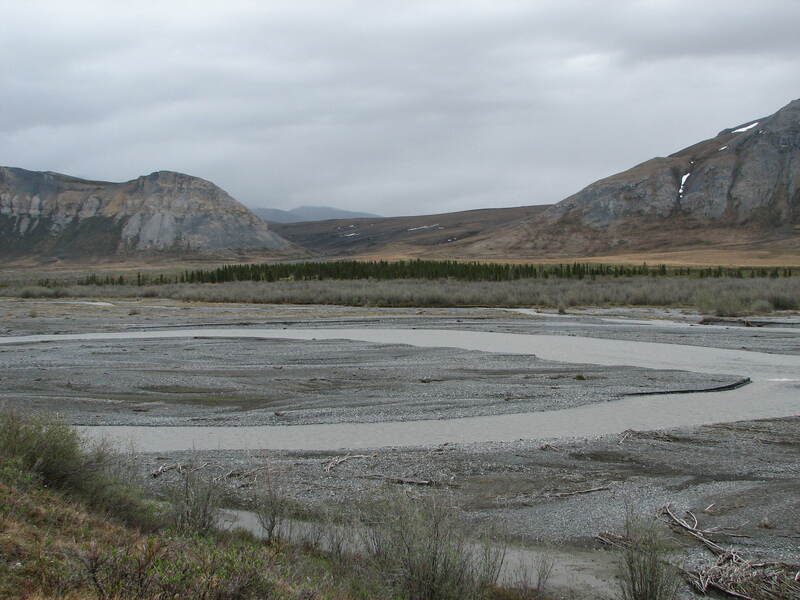 This entry was posted on December 10, 2009 at 14:20 and is filed under 2010, ALASKA TRIPS, ANWR, AICHILIK RIVER 2009, UNPUBLISHED OUTDOOR WRITING. You can follow any responses to this entry through the RSS 2.0 feed. You can leave a response, or trackback from your own site.